306 pages, 8.5" x 11"
The game of baseball at the beginning of the 20th century was remarkably similar to the game that is played today, although pitching was dominant and offense was hard to come by. But missing was the coverage by radio, television, motion pictures, audio/video tapes and the internet. Today's coverage includes not only these new media but also expanded use of newspapers and photography. The Deadball Era (1901-1919), so named because the ball being used was not the lively ball introduced in the twenties and beyond, demanded that the writers and photographers provide all the information in the form of the printed word and still photography. Writers included not only known names such as Ring Lardner, Grantland Rice, Damon Runyon, and from that era Tim Murname, Charles Dryden, Hugh Fullerton plus many more, including players, managers, owners, and others, some of whom were "ghosted" by regular sportswriters. Photographers did not have the luxury of instant multiple shots but had to sense the opportunity of when to take the best action photo, hence the often posed photos taken before the game. Yet their instincts led them to some incredible and uncanny shots of action during the game. 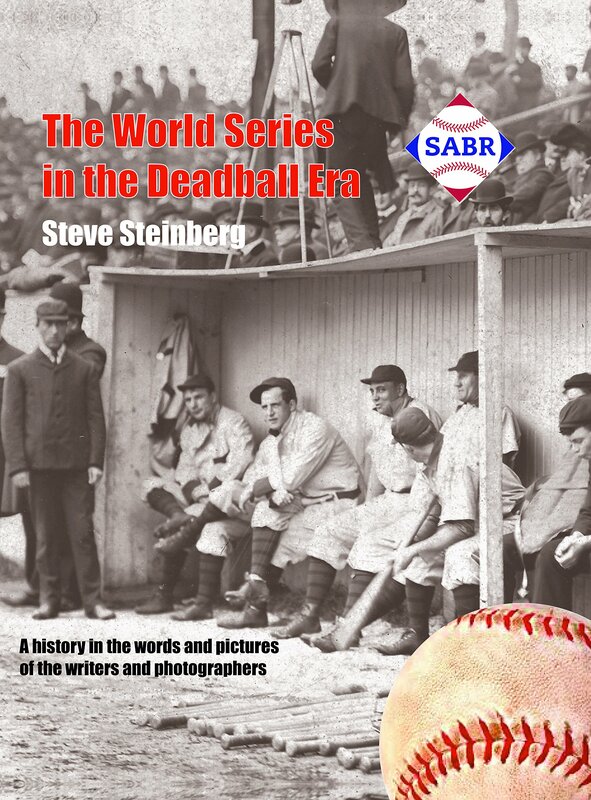 The editor, Steve Steinberg, has assembled an excellent and knowledgeable group of researchers and writers from the Society of American Baseball Research (SABR) to provide us with a remarkable view of the Word Series in the Deadball Era. You will not be reading about the Deadball World Series from the point of the 21st century, rather you will be transported to this great era that set the groundwork for today's game. This book is available for purchase from Amazon.com, your local bookstore, or directly from the publisher at St. Johann Press. SABR 48 discount: Attendees at the SABR 48 convention in Pittsburgh will have the opportunity to save $5 off the purchase of this book, plus free shipping, when you order in the SABR 48 Vendors Room. Check out Steve Steinberg's table in the Vendors Room during the convention at the Wyndham Grand hotel. To learn more about baseball's Deadball Era, click here to visit the Deadball Era Research Committee page. This page was last updated June 4, 2018 at 5:43 pm MST.